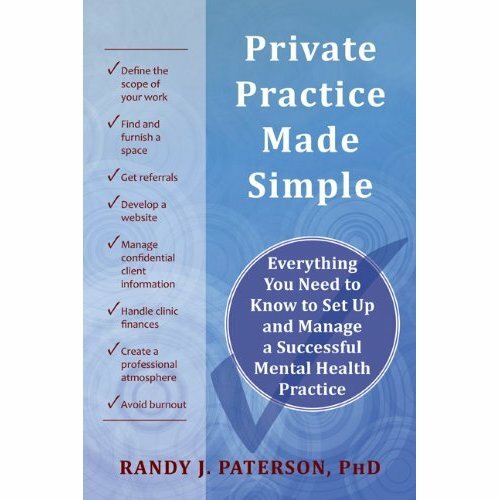 My book Private Practice Made Simple (New Harbinger Publications 2011) is now out and in bookstores. 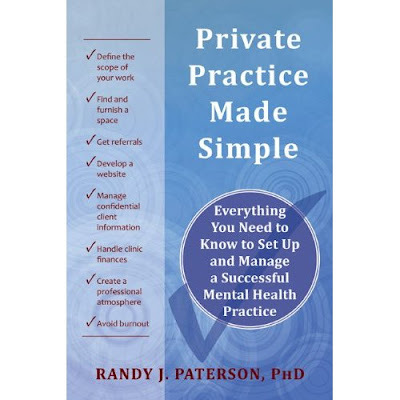 In 2012 Changeways Clinic and PsychologySalon will be offering the one-day workshop on which the book is based in cities across Canada - most likely Halifax, Toronto, Ottawa, Winnipeg, Edmonton, Calgary, and Vancouver. We're in the planning stages of these workshops and hope to have dates and locations finalized within several weeks. If your organization would like to cosponsor the program, email us at workshops@changeways.com and let us know. Sponsors generally help out with promotions and organization, and can share in revenues or provide spaces free (or at discounted rates) to their membership. For a list of past hosts, click here.